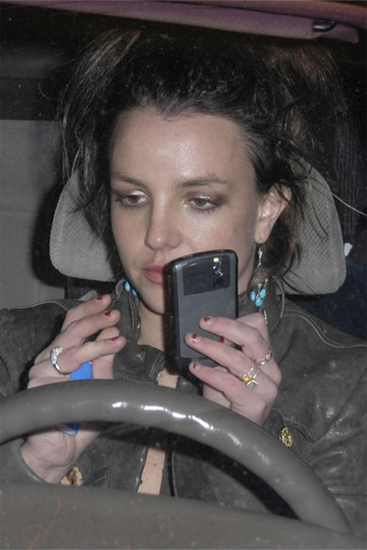 Earth to Britney - it's not *actually* a CrackBerry! "O MY GOD! She has a lighter in one hand and a BlackBerry in the other. Brit, I know that it's called a CrackBerry, but its not really crack and it doesn't taste like berrys!! You cannot smoke your BB!"